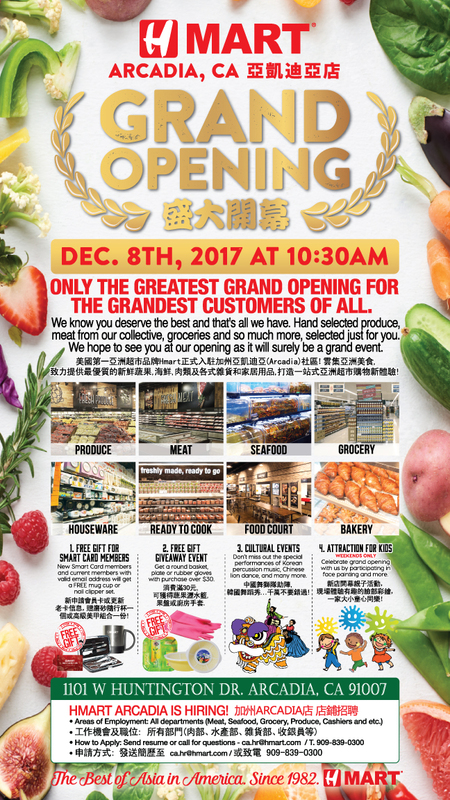 H Mart Arcadia, CA Grand Opening December 8th, 2017 @10:30 A.M.
Will there be a kosher section at K-mart? I’ve been waiting for H-mart to open!!! So excited ?